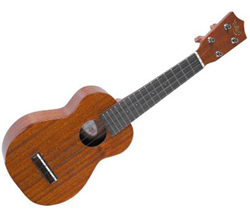 If you're looking for Ukulele lessons in the Ottawa, Ontario area, Jamie Anderson can teach you how to hold it, tune it, and play some chords so you can strum along to your favourite songs. If you're not in Ottawa, Jamie offers instrument lessons via Skype so you can learn how to play the ukulele (or mandolin, or guitar) anywhere in the world! Contact Jamie for more information!